Link building these days is running itself deeper and deeper down the spamhole, and people aren’t being creative enough any more. There are hardly any good, practical link building posts coming out of the wood works these days, so let’s get the juices flowing. I meant to perhaps put this post on as a guest blog push, but I might as well take all the link love I can get. 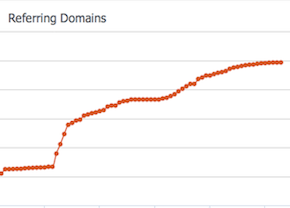 This is more so a follow up to our earlier post entitled “Link Building Tactics in 2011: Keeping It Fresh“, and it hopefully gets everyone excited to build links again. The link building game is getting tougher and tougher, and Google is definitely waging a war against junk links. We want out clients to not only rank well, but build their brand properly so it lasts past the next major algorithm change. Most of all, we want to help create a brand that stands out like a sore thumb that’s bleeding profusely! Why? Because this is what attracts natural links, builds online relationships and drives traffic from places other than just Google. There are too many companies getting really lousy link building done, and it’s the kind of stuff that makes me cringe. Keeping in mind, Google frowns on almost all manual link building, and they’re going to keep their algorithm fine tuned to detect this. While they say this, 99.5% of the companies out there are doing some form of manual external link building. So if you’re going to do it, might as well go against the grain and built quality links. Ignore anchor text links (for the most part), ignore no/dofollow and just get out their and build relationships. I’m going to recommend some strategies that work well but take some time and effort. This is good in my books because your competition will have to work hard to keep up, or they’ll still be stuck building junk. These link building strategies we’re putting forth are of course by no means unique, nor am I claiming any as my own. I’m just hoping to put some stuff out there that isn’t talked about as much. The tactics come from personal experience, reading from some of the most brilliant minds in the industry and of course thousands of hours of backlink analysis. I know what you’re thinking: “He’s going to talk about turning your blog posts into audio and submitting them as podcasts”. Not quite! There is a good chance that there are already a few very popular podcasts in your niche, and you’re going to want to get on them. Not only do podcast authors almost always link to their guest via their blog, but you’ll get real listeners who will discover your brand on a positive note. If their podcast is well syndicated, you’ll also snag a few low level links from all the podcast directories it’s listed on. If you’re able to blow people’s minds during your segment, chances are it’ll get talked about a lot more. I find that the success rate of getting interviewed or invited on as a guest, coming from a known brand, is damn near 90%. Having someone of your stature make nice with the fans will definitely send off some good signals and inspire the podcaster to keep on going. We’ve also seen natural links come from a client doing some PR stunt or creating some buzz in the webosphere. If some of you are thinking that these might be lame links, think again! Here’s just one example of a podcast that links out to all the stuff it talks about, and yeah, it’s from the New York Times. While this method is somewhat basically the podcast method mentioned above, there are a few angles you can go about it. Interviews not only provide links, but they provide unique and interesting content that your customer base should be thrilled about. Connecting With Reporters – Thankfully, there are a handful of awesome services that connect you to the world of news reporting. I’ve had the pleasure of using all of these with various clients, and it has even netted our company a few links in the past. Some of these I’m sure you’re familiar with, others are hopefully a pleasant surprise to a lot of you. Broken link finding has been (IMHO) one of the hottest link building topics covered in the past year or so. While I was unsure about covering it in this post, I finally ended up realising it still needs to be drilled into the heads of a lot of people. There are an abundance of tools out there to help you find broken links and I highly recommend you read “40 Broken Link Building Resources” by the great people at Citation labs. Link Misfires?- More often that not I find websites that have referenced a client’s website, or used an image or video. A lot of the time they’ll mention the website or brand/company name, but won’t provide a link. In fact, I spent the early parts of this week tracking down these mentions for a client who offers some pretty unique products. A couple days of hunting and emailing resulted in over a dozen new links. These citations are somewhat easy to find and all it takes is creating a spreadsheet and digging deep with Google (or your search engine of choice). I choose Google because of their “intext:” search operator which helps narrow down the results. It definitely takes some serious time on your part and you might come up empty handed, so I apologise ahead of time for those that come up with nothing. This is another link building tactic that I don’t see used often enough. A lot of websites do case studies involving companies that use their product or service and it can be a great link. It’s also thinking outside of the box and that’s what this post is all about. A perfect example of this that I read recently is that of Microsoft’s case study section. I tried hard to find who posted about this in the SEO world, so I apologise if you’re reading this (ping me and I’ll link you up). So back to the example, who wouldn’t want a link from Microsoft? Well, CouponFactory.com was recently featured here and they scored one helluva link! Now, how many of you are using some software or thinking about making a switch? This could be ripe for a post with that company and all it takes is a quick call or email. These are the kind of links your competitor will probably never be able to clone and ones that I LOVE. Just take a good look around at what you use and put your thinking cap on. It shouldn’t take more than a couple of hours to find at least one great link opportunity. Industry Mentions – These are pretty straight forward and are links usually gained from building those online relationships. There are a host of industry/business/marketing blogs out there that can be used as a link building angle. Think about a recent sales move, company milestone or marketing tactic that was pulled off nicely. These can often be a great topic to cover on an industry blog, you just have to know the right people. I recently saw a brilliant example of this by the link building ninja Tom Critchlow from Distilled. He had met up with the owner of Hipmunk which lead to this post about how Tom would go about doing their SEO. He’s not, but it’s a great and recent example of what I’m trying get across. You can see that they also got mentions from Entrepreneur.com, The WSJ and Venture Beat to name a few. There are tons of other examples of ways to get mentions for just doing business right so take note of what’s going on and see who you need to befriend. If you’re a bigger company, then try and make nice with people at Forbes, NY Times, Business Insider and sites that are related. They’re always doing posts like this and most of them list author contacts. I’ll admit some of this is taken from our Link Building Tactics in 2011 post, but it needs to be stated again for the sake of getting it done. Business Directories – There are a handful of easy to get into (if you’re an established company) directories that are of the utmost quality and add some diversity to that link profile. Some of them include Manta.com, Company.com, BOTW.org, Yahoo Directory, Crunchbase.com and the like. You might as well get in on the local directories as well as that can never really hurt; it’s such an easy task to do. No Brainer Link Obtainer – There are a few obvious and great links a bigger brand can nab in the wild. I’m talking about making sure you have a bloody Wikipedia page and that you’re mentioned on Ref Desk and Consumer World. There are other gems like this out there so all I can recommend is either hire us, or get your favorite backlink analyzer out and start sniffing away! Job + Career Sites – I’ve mentioned this before but every big company is usually hiring somebody and you have to hunt for candidates somehow right? Why not do that while scoring some mega awesome links from the likes of Monster.com, Career Builder and Dice.com. This is just the start of this form of link building. Just think about all the web 2.0 sites and job boards which pick up openings and company profiles from just these three sites alone. Also, it will be helpful to keep in mind that hiring students leads to .edu links and .gov job boards are not a myth so keep your eyes sharp! Guest Blogging, Link Bait & Infographics – When you’re a big brand with a hefty set of followers, you’re chances of success with these tactics is almost guaranteed. 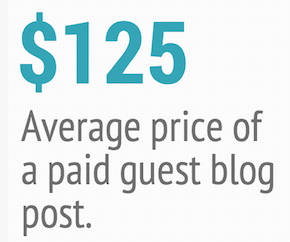 When we contact people for guest blogging opportunities, marketing an infographic or creating link bait on behalf of a big brand, the results are staggering. Most bloggers are elated to have someone of that “stature” get in touch and express interest in working with them. Reach out and you’ll be surprised what kind of a response you get. Provide Industry Statistics & Reports –This is something that, as a industry leader, you should be doing. Second to that, it’s something that seems to always get picked up in either the news, blogs or elsewhere around the web. It’s also a great excuse to push out a press release and pick up a few extra news links while you’re at it. If you package the info up on your website in a nifty PDF, you can push it to the right industry people just in case they’re interested in using that data. While you’re at it, upload the PDF to your Scribd and Docstoc accounts for easy sharing and more exposure. You might as well turn it into a SlideShare presentation as well! Repurposing content yields more links. Your media is a weapon and those who use it correctly can build links constantly as the years go by. Your company’s pictures and videos can be a great way to obtain embed links so let’s take a look at what we’d recommend as well as some examples in the wild. It requires a little extra work on your part and perhaps I can convince you from holding off on uploading to Flickr & Youtube right away. Say What?! Hold off on sharing media from a couple of the largest social media content sites in the whole damn world? Well, at least experiment with it and see what kind of results you get. You don’t have to put all your content up there but perhaps you’ll save a viral video for use on a custom video player off of your site? Let’s take a look at those examples and then you can decide if your company wants to play around with these ideas. Your Pictures – Just like with an infographic, you can provide people an embed code for a picture for easy sharing. While they can just as easily steal the picture, they could just as easily copy and paste your simple embed code. This also works great for the masses out there who are still too inept to do their own HTML. You can also require people to give photo credits with a link if they want permission to use your company’s photos. We helped a Fortune 500 client build a photo gallery for public use, which really got that message across. It was a huge success and it nets them links on an almost daily basis. Custom Video Embed Codes – This is a strategy that can be lucrative if done correctly and it should definitely be tried out a few times. If you have a viral video going out, why not provide it on your site first with a custom embed code that provides a link back to your site? If you hit it off, you’re looking at a lot of links that should be worth the bandwidth costs. You can then later upload it to Youtube once the desired effect has taken hold over a week’s time. Vimeo provides links to itself in their embed code and if you look at their link profile, it’s massive! Widgets & Infographics –While I’m on the subject of embeds, I might as well recycle my words here and mention to provide these two with embed codes that have links. Believe it or not, I’ve seen a lot of people push their infographics without an embed code provided. Tisk tisk! Widgets are more rare these days but if you’re offering them, make sure you’re not targeting any specific anchor text or risk getting in a little trouble with Google thinking you’re gaming it too harshly. Well I hope that post matched the hype and I hope most of all that you learned something. It’s hard to give off enough tips in this day and age without getting that source spammed out. This way, at least you have to be an established brand to get anywhere with most of these links. We’ll let the rest of the world fight it out over bullsh*t article marketing, blog commenting, forum profiles and link wheel spam. Do what you can to stand out, build better links and do everything legit or you’ll never sleep at night. Do you know of any video hosting websites that allow you to create your own embed code? I don’t off hand but this is where custom coding comes into play for that extra effort and push! Thanks for sharing new link building platfroms. I really don’t know about these platforms before that these websites can also be helpful for link building. Thanks for this follow up – it’s another humdinger of a post. I agree that it’s harder to focus on building relationships, but in the long run it’s worth a lot more. This post is so nice. I got many things by your post. It’s very enjoyable post everything are beautifully define in your post you should continue make this type post. Your post is a welcome departure from the multitudes of sites promoting “automated link building”. The basis of my SEO practice has always been to establish relationships, each new Google algorithm update puts my clients producing original content closer to the #1 spot! Thank you for your list. I was starting to worry About this industry. Refreshing to hear somebody gets it. An old school approach to marketing. Build relationships not links. By owning a premium domain name u can increase relationships much easier in most cases. Instead of wasting thousands on Adwords put that money into your domain budget. The payoff is long term SEO benefits and “relationship ” building. Thanks for sharing! As it looks, any media type can create numerous links “circles on water”. Also, any campain asks for a separate dominant strategy.